Thanks to medicinal dispensaries and technology advances, patients have many more options available to them than the usual dropping flowers into bowls or rolling up joints. Long gone are the days when smoking is the most prevalent way to consume medicine. Today’s patients have the option to consume cannabis concentrates, which are just that – concentrated extracts of cannabis. These extractions include all the cannabinoids and terpenes in the plant that provide the medicinal properties that cannabis is so well known and loved for. The more effective the extraction, the higher the quality and pureness of the concentrate. Cannabis flowers contain between 10-20% THC, getting as high as 30% in some rare instances. Cannabis concentrates, on the other hand, can offer between 60-95% THC, making for a much more efficient experience, as well as making it a lot easier to consume more than you bargained for! Because of this, some medicinal marijuana patients can have a hard time determining dosage. It’s difficult to know exactly the amount required to help with their symptoms but still allow a productive lifestyle. That’s why many have turned to vaping concentrates in vape oil inside e cig type cartridges as their solution. It’s a convenient and effective route of consuming cannabis concentrates like wax, shatter, budder, live resin, distillate, isolate, BHO, RSO, and others due to the potency, quick onset, and minimal consumption. Vaporizer cartridges take the guess work out of dosing for medicinal marijuana patients by offering them in a more manageable delivery vehicle. The convenience of a vape pen far exceeds needing a torch, dab tool and fragile glass rig (and everything else that comes with using them). Unlike free-form dabbing, using cartridges minimizes the risk of overconsumption in a single pull. You can still use them to achieve higher doses of cannabinoids, but it will require an autonomous choice with each pull to continue medicating. Many cartridge manufacturers will list the approximate number of hits you can achieve in one cartridge. To determine your dosing, divide the total number of milliliters in your cartridge by the number of hits given by the manufacturer. This will allow you to know approximately how potent your pulls will be. Our endocannabinoid systems are all different in the way they uptake cannabinoids, so the dosage for one person may not be the same for the next. Start small, and increase as needed. You can always go back for more! 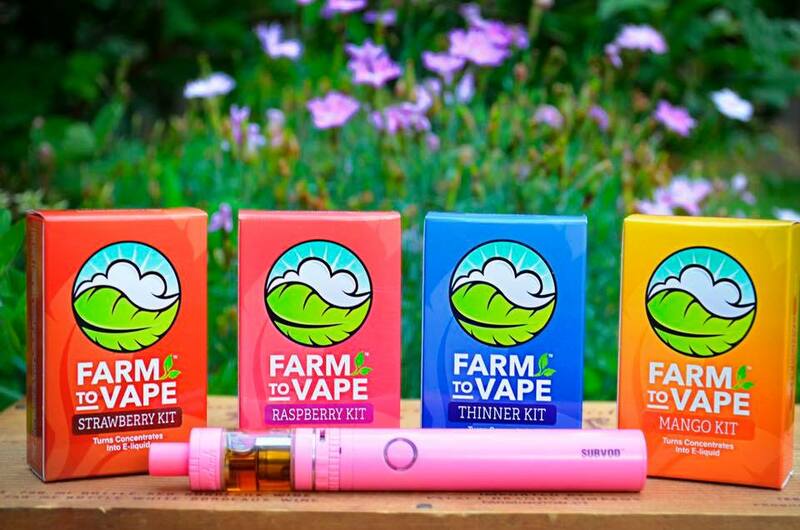 With Farm to Vape, you can turn your wax, shatter, live resins and other concentrates into a never separating e juice, fill your own cartridges, and really dial in your medicine. Medicinal marijuana patients also love our product because our revolutionary boilable dropper bottle method allows them to make their e juice safely without the need of an open flame like a torch or lighter. Then once the mix has been made, the lid has an eye dropper built in it, so you can easily transfer that potent e juice right into your cartridge and you’re good to go! 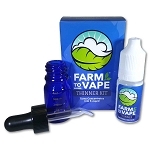 Check out the instructions page to learn how to turn wax into oil, check out the rest of our site for more information, or click Farm to Vape Kit to start shopping our products now!